A 529 plan is a great tool to invest or save for your children’s college, and now you can use them for more than that. There may be a lot you don’t know about 529 plans, and that’s why I created this guide. 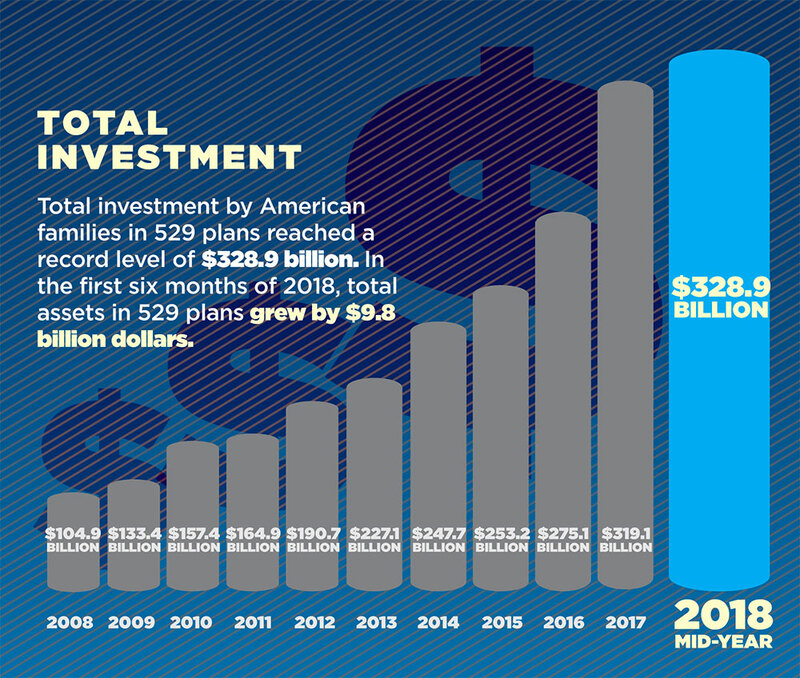 There are over $300 billion in assets under management across the 529 plans nationwide, and it’s increasing dramatically each year. People are starting to realize that tools like 529 plans exist to help with college savings. It’s time to get into an in-depth explanation (i.e. everything you want to know, and things you probably didn’t care to know) about these college plans that are growing in popularity. Should You Use a 529 Plan? A 529 plan, known legally as a “qualified tuition program,” is a tax-advantaged savings plan for future education expenses. A 529 plan typically offers both basic savings and investing options. 529 plans are sponsored by states, state agencies, or educational institutions. They are authorized by Section 529 of the Internal Revenue Code, which is where the name comes from. You’ll see “qualified tuition program” under Section 529. Immediately following section 529 is section 529A, which covers Qualified ABLE Programs. We’ll discuss these below as well. While 529 plans are handled by each state individually, that doesn’t mean you must invest in your own state’s plan. You’re free to choose the state that offers you the best benefit, even if you’ve never lived in [or even been to] that state. Right after Section 529 is Section 530 (because: numbers), which is the “Coverdell Education Savings Accounts” section. This is a great topic for another guide. These are alternatives to 529 plans, but by the end of this guide, there’s a good chance you’ll go with a 529 plan for your child over a Coverdell ESA, if you have to pick one. Prepaid Tuition Plan – You purchase units or credits at participating colleges or universities for future tuition for your child. Education Savings Plan – This lets you open an investment account to save for your child’s qualified higher education expenses. You can also save for elementary or secondary public, private, or religious school tuition with this option. In other words, prepaid tuition plans are meant for use in specific, preplanned schools (one of the participating schools), while education savings plans can be used at practically any school. It’s important to note that, “Prepaid tuition plans usually cannot be used to pay for future room and board at colleges and universities and do not allow you to prepay for tuition for elementary and secondary schools.” 1 On the other hand, with education savings plans, you can use your investments to pay for all the fees, to include tuition, mandatory fees, as well as room and board. Even computers are included in the list of qualified purchases for education savings plans. Every state sponsors at least one type of 529 plan. Well, every state except Wyoming. Come on, Wyoming! Get with the [qualified tuition] program! Even Washington D.C. offers one. Prepaid tuition plans are sponsored by the specific college or private organization where the money will be used. The education savings plan is much less restrictive than the prepaid tuition plan. If you’re just looking to save for your children’s college, and you don’t want to risk losing any money, then a money market or standard savings account typically works fine. 529 plans are meant more for investing. Many 529 plans will give you the option to choose from a few different investment funds, including age-based funds, which are like the lifecycle funds of college investing. A lifecycle fund chooses more aggressive or more conservative investments based on how close you are to retirement. Likewise, an age-based 529 plan fund does the same thing depending on the amount of years before your child attends college. That’s the beauty of 529 plans. You can invest aggressively while your child is young, striving for larger gains, which leaves you investing less money overall. Then you can gradually move the money into more conservative funds as your child approaches college age. Prepaid tuition plans and education savings plans may charge an enrollment/application fee and ongoing administrative fees. In addition, since education savings plans offer investing options, they may also charge account maintenance fees, program management fees, and asset management fees. These are the same fees you would expect to find in any mutual fund. Depending on the type of 529 plan, some of these fees are for your state program sponsor, while other fees go to the plan manager. All fees will be determined by the specific plan(s) you choose, and the type of investments in that plan. Some states offer direct-sold education savings plans in which you have the option to invest without paying the broker fees. It’s also possible to have some of the fees waived if you keep a large balance, start an automatic contribution plan (which is sometimes required), or have residency in the state sponsoring the plan. Look to each state for the specifics on these waiverable fees. 529 plans are tax-deferred plans, which means you don’t pay federal taxes on any capital gains you earn, as long as the funds are used for qualified education expenses. You typically won’t pay state tax either, but it depends on the state you choose. The specific tax benefits are different from state to state, but most states will allow you to deduct your contributions from your state income tax. In additional, some states offer matching grants for 529 plans, but these benefits may only apply to residents of that state. Like an IRA (Individual Retirement Account), you are subject to a 10% penalty on the investment gains if the funds are not used for what the fund is intended for: education. You’ll also pay federal and state (if applicable) income tax on the gains. Check this list to see if your state offers any in-residence tax benefits. Up to $15,000 in annual contributions qualify for the annual gift tax exclusion, so you won’t pay taxes on that money. But it gets even better. You actually have the option to give up to $75,000 in one calendar year, and it will be treated as five years worth of gifts for gift-tax purposes. If your children get a full scholarship to a university, you can take the full amount of the scholarship out of your 529 plan without a penalty, but you will pay taxes on your investment gains as earned income 2. If your kid got a full ride, they may deserve the cash, but that’s your call whether you give it to them or use it for something else. If your child decides not to go to college, you can switch the 529 plan to another child, or simply pull the money out and take the 10% hit, plus taxes on gains. A 529 plan’s circular—also referred to as a disclosure statement, disclosure document, program description, or offering document—is a document containing all the specifics you should know about the plan you’re looking into. You actually need to read this; it’s not just unimportant fine print. The circular will lay out all the restrictions specific to that plan. This could include restrictions on investment options, and potential penalties for things you didn’t even know existed. There are some restrictions that apply to all 529 plans. You usually only have a handful of investment options, and you’ll only be able to switch how you invest twice per year (or if the beneficiary changes), under current tax law. You can view the state-specific guidelines, fund info, and circulars, and compare by state, here to decide which state will be best for you. One recent change is your ability to use 529 plans to fund grade school, such as private or religious schools, but practically any paid grade school qualifies. This applies federally to all 529 plans, but all states haven’t adopted this on a state level, so you have to check your specific state’s law. That’s officially the most times I’ve ever said “state” in one sentence. There’s a $10,000/year limit, per child. Your state’s circular will explain more of the specific benefits and guidelines of their K-12 program. Of course, if you haven’t started investing yet, you’ll just need to find a state that allows the K-12 option. 529 plans do count as assets on most financial aid forms, and thus, will generally affect the amount of aid your child is able to receive. The purpose of a 529 plan is to reduce the amount of debt your child pays through student loans. Whether the assistance comes from the 529 plan or from financial aid, it all helps. But saving your own money is always more reliable than depending on financial aid programs. The ABLE Act, signed into law December of 2014, is for Americans living with a disability who want to save money for college and other expenses, as a supplement to insurance and other benefits. These qualified expenses include: education, job training, job support, healthcare and financial management. Similar to a standard 529 plan, an ABLE account is a state program that provides tax-deferred benefits for disability expenses. Section 529A of the Internal Revenue Code, Qualified ABLE Programs, covers the guidelines for ABLE accounts. Before ABLE accounts existed, disabled Americans couldn’t earn more than $700/month, or have more than $2,000 in assets, without the risk of forfeiting benefits from government programs like Medicaid. Disabled Americans can have up to $100,000 in an ABLE account and still be eligible for SSI benefits; however, once they exceed that amount, they are no longer eligible to receive those benefits. The PATH Act of 2015 removed residency requirements from ABLE accounts, giving disabled Americans the option to now use any state’s plan. Granted, there are still residency benefits like there are with standard 529 plans. To qualify for a 529 ABLE account, you must be diagnosed with a significant disability, expected to last a minimum of 12 consecutive months, before turning 26 years old. The disabled individual must be able to get a disability certification from his doctor, or must be receiving SSI and/or SSDI benefits. If you decide to use the money for something other than education, you only pay the 10% penalty on your investment gains, not your contributions. Therefore, depending on the amount you’ve saved, it’s often not that big of a deal if you end up using the money for something else. Prepaid tuition plans are only a good idea if you’re planning a specific college from the start. But even then, you may want to evaluate whether your children will have a say in where they go to college, if you’ve already decided the school for them and prepaid the tuition. You should seriously pay attention to the signals your kids are sending as to whether or not they want to go to college. You may want to cut the cord of college savings if your child has a plan in place that leaves college out of the equation. You don’t have to use any sort of a “college investment fund” to save for your child’s college, regardless of how much the financial industry pushes these types of savings plans. They can be useful, but they aren’t for everyone. Don’t blindly start throwing your money into a 529 plan. You should never invest in something you don’t understand. 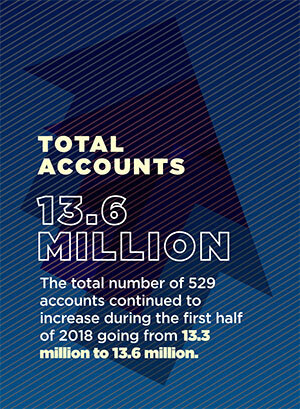 If you don’t have a good reason for using a 529 plan instead of a regular savings account, a savings account may be a better option for your situation. Nowadays it seems like all parents are saving for their children’s education… at least, that’s how social media and financial institutions make it seem. The fact is, only 36% of middle-income families, and 29% of low-income families, have set aside any money for their children’s college 3. It’s ultimately your call whether you save anything for your children’s college, and saving for college is not a requirement to be a good parent. In fact, many people argue that you help your kid more by not saving for their college. See more here. So you’ve decided a 529 plan is right for your child. How do you know which plan to choose? While a few states do offer special benefits for its residents, it pays to look across the country at all your choices. Low expense ratio/fees – Many 529 plans have a low expense ratio and low fees. A good expense ratio should be well under 1%. Diverse investing options – You should look for a fund with many different investing options. A good fund will typically include multiple asset class options, as well as a few age-based options. Tax deductions/benefits – While this usually applies to in-state residents, it’s good to see what types of tax benefits the fund offers you. At a minimum, many 529 plans offer the ability to deduct your contributions from state tax for in-state residents. Your preferred options – Whether you want the 529 plan to include real estate investments, exchange-traded funds, age-based funds, or simple index funds, find a fund that matches your desires. With all the options available, there’s likely one that does. Of course, you’ll notice that the common denominators here are low expenses and diverse investment options. If you find a fund, not listed here, with those things, it may be just as good if not better for your specific needs. State Resident Benefits: Virginia residents can deduct up to $4k in contributions from state income tax. State Resident Benefits: Utah residents can take a 5% income-tax credit on a certain amount of their contributions. Utah residents have the option to invest in the Public Treasurers Investment Fund, with a 0% annual fee. State Resident Benefits: South Carolina resident can deduct all of their contributions to this plan. State Resident Benefits: Illinois residents can deduct up to $10k in contributions from state income tax. Choose the plan that makes the most sense for you and your child. There may be in-residence benefits for your state that outweigh all of these benefits. Check around the country, and definitely check your own state out first, but don’t settle for your state’s funds if they aren’t up to par. Do you use a 529 plan to save for your children’s college? Do you have any additional tips to help save for college? SEC Office of Investor Education and Advocacy. (2018, May 29). Introduction to 529 Plans. U.S. Securities and Exchange Commission. Flynn, K. (2018, August 27). The truth about scholarships and 529 plans. Saving for College. SallieMae Staff. (2013). How America Saves for College 2013. SallieMae.